Armonico is a truly flexible eCommerce theme for WordPress. It’s been designed with smooth and minimal design to easily mesh with the desired look and feel of any brand. It is extremely flexible and will facilitate the easy set-up of an online web-store which is powered by WooCommerce. It includes an image fader on an impressive home page layout. It would be best used by someone looking to build on online store who also wants a complete website. It allows for complete blogging and other normal website functions – as well as beautiful ways of showcasing and selling products. The Armonico theme is a great way to kick start an eCommerce based website. 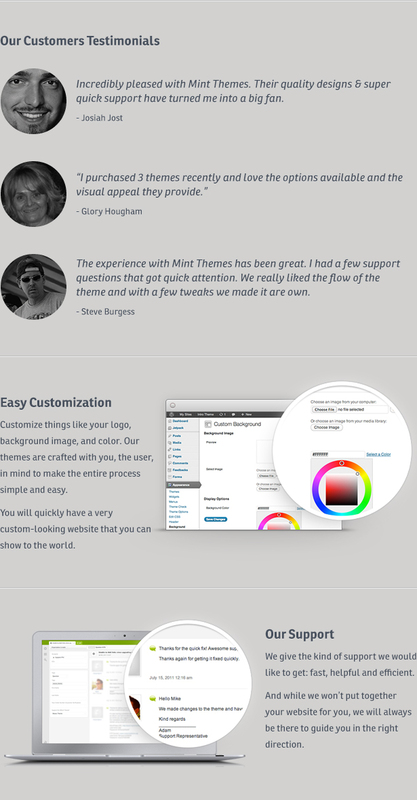 This theme comes with extensive PDF documentation which makes setup a breeze. The latest updates and bug fixes for this theme can be seen in the changelog. View the Changelog. Join our monthly newsletter. Get notified about upcoming deals, discounts, theme releases and more.